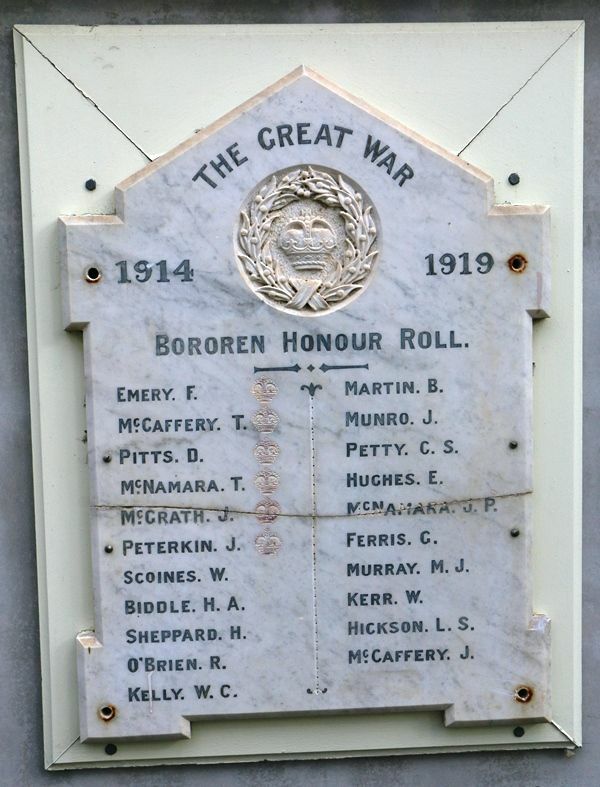 Bororen Honour Roll is a marble honour roll commemorating those from the district who served in World War One. 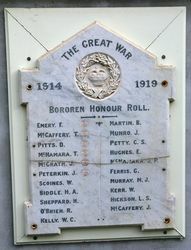 The roll was unveiled at the railway station in 1922 by Mr. Blomfield, a returned soldier. 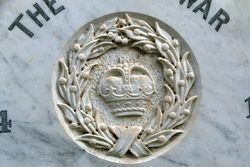 A crown insignia is placed next to the names of those who died. 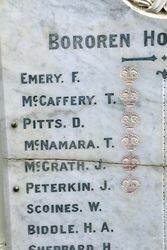 The Bororen Memorial committee met on Wednesday last for the purpose of making arrangements for the unveiling ceremony which is to take place on the 11th April. An Honour Board and machine gun are being placed in the waiting room at the railway station. The meeting was well attended and all are doing their best to make the day a memorable one. 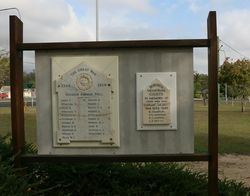 The Bundaberg Mail (Qld.) 11 March 1922.